PLEASE PASS ME THAT PARENTING HANDBOOK. 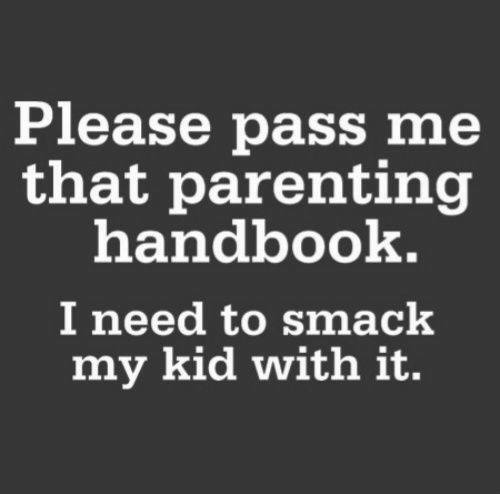 I NEED TO SMACK MY K - ProudMummy.com the Web's Community for Mums. PLEASE PASS ME THAT PARENTING HANDBOOK. I NEED TO SMACK MY KID WITH IT.